I hope you all had a fantastic Thanksgiving! Gosh, Christmas is just around the corner, which means the year is coming to an end. I have a few more posts remaining for the year that I will share with you. 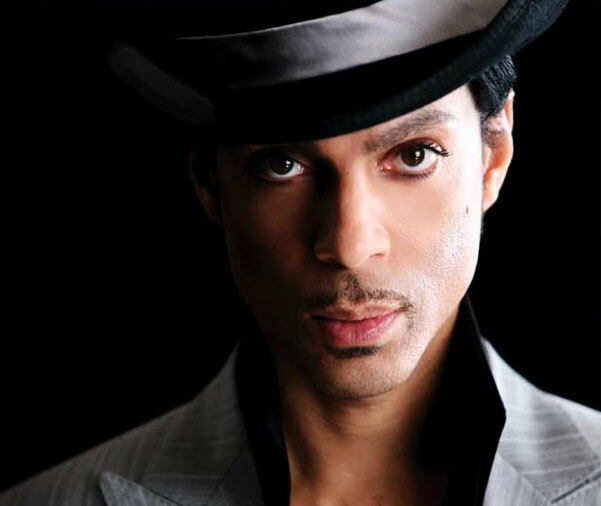 Right now, check out my review of Prince’s latest gallivant into Chicago a few weeks back. Enjoy!!! After such a long and illustrious career, it is only fitting that Prince would remind his audience of his “bigness”. Though many patrons wouldn’t think otherwise, it was clear that he still understands what it means to play live, to move the crowd, and to give the people what they want. “I’ve got so many hits, we can stay here all night!” he shouted as the crowed roared with approval. Last night marked the third and final show of Prince’s “Welcome 2 Chicago” tour at the United Center. In a time when the music industry has lost the likes of James Brown, Whitney Houston and Michael Jackson, Prince reminds us of the good times. Last night was a journey back to a moment when music really mattered. You didn’t just listen to music, you lived it. Last night’s performance was unique because it featured several rare tunes like, “Joy in Repetition”, “Dance Electric” and “Extra Lovable”. And of course, there were the hits, and there have been many. Prince had the crowd bouncing with tracks like, “Let’s Go Crazy”, “Controversy”, “1999” and “Little Red Corvette”. He’s still a mover and a shaker as evidenced by his dancing on stage in his trademark heels. After two nights of shows and late night jam sessions, his voice seemed a little stretched. With the clever use of crowd participation, he was able to save his voice for other more difficult songs. On this night, his main “weapon of choice” was his guitar, which he wielded with clarity and his usual brilliance. The irreverent and energetic Janelle Monáe opened the show with her funk-soul-rock style. She dazzled the crowd with her fancy footwork, and her big voice. If you weren’t a fan of hers before, this outstanding opening performance was sure to make you a believer afterwards. She would later partner with Prince on a spirited rendition of “Take Me With U”, where she sang lead for most of the song. The show also included a cameo appearance by legendary saxophonist Maceo Parker. Without a doubt, he still had “the funk”, which he made famous working with the late James Brown. Newcomer Andy Allo (who is a doppelganger for Esperanza Spalding) played as a member of the New Power Generation. She has released a new funk/soul album on Prince’s NPG Records. And R&B sensation Ledisi consumed the crowd with her soaring vocalism. She showed us why she is one of the best young singers in the industry today. The show wasn’t without its problems. At times the sound system seemed to underwhelm. The bass guitar was drowned out by the keyboards and other instruments, leaving the songs feeling imbalanced. In an unusual set-up, Prince had the New Power Generation (which is an 11 piece horn section) positioned several feet off the stage. Admittedly, this diminished the continuity of the performance. It would have been nicer to have them on stage, or at least several feet closer to the rest of the band. Always unpredictable, Prince seemed to close the night with “Purple Rain”, leaving the crowd swooning. The less-knowing headed for the exits thinking the night was over, only to have him return on stage for a few piano solos—most notably “How Come You Don’t Call Me Anymore”. By far, this was the most intimate moment of the night. It was vintage Prince—sexual, racy and primal. This is what many had waited for. And for the most part, nobody seemed disappointed. I’m Not a Musician. So Why Smooth Jazz Entertainment? By Mark A. Moore, Senior Executive, Smooth Jazz Entertainment LLC. Why start a company dedicated to music? I mean, do I have a deep seeded need to be a musician? Truth be told, I haven’t played an instrument in years. I wasn’t a virtuoso or a child prodigy. I can hold a note, but I wouldn’t say I’m a singer. Now my singing duties are limited to the bathroom shower, or perhaps when I muster the courage, I may attempt to serenade my wife on a midnight swoon. When I was about 5 years old, I remember seeing a TV commercial about Chuck Berry. He had a guitar in his hands strutting across the stage while strumming the strings. I thought it was so cool. The next Christmas I asked my father for a guitar. I begged and I pleaded with him. But alas, I never got the guitar. I always wondered what it would be like to play. Later, I wanted to take piano lessons, but my mother couldn’t afford the lessons or the piano. It wouldn’t be until I got to junior high before I started playing my first instrument. I chose the baritone since my classmate told me it was “as small as a trumpet”. My teacher was delighted that I chose such an unusual instrument. When she pointed to the 40 pound leather case, I immediately thought about strangling my classmate! Aye, those were long afternoons dragging it home to practice in the basement. Although I resented the baritone’s cumbersome and weighty exterior, I loved its sound. My father had a tremendous collection of records at our house. And under no circumstances was I allowed to touch them! (Did your father do that too? Why is that?) Hot Buttered Soul by Isaac Hayes and Standing in the Shadows of Love by Barry White were just some of the albums that graced my father’s collection. These were his prized possessions; so valuable that when he went out of town he often forbade everyone, including my mother from playing them. And it didn’t matter what he was doing around the house, those records were on steady rotation. Count Basie, Jimmy Smith, to Byron Lee and the Dragonaries, Yellowman and the Police. My father had broad and eclectic tastes. Music was always around me. I didn’t know it then, but I most certainly appreciate it now. the congas, timbales, and drums. I played solos and competed in competitions with the group. It was there I learned about Louis, Ella, Thelonious and Wynton. Now music had even greater meaning. Its influences were far ranging and intertwined. Smooth Jazz Entertainment is the culmination of my passions, lessons, failures and triumphs surrounding my musical experiences. Music has taught me so many things. It has given me so much. This is my way of giving something back. I love music. I hope to use this blog to speak about music; to examine its inequities and to celebrate its achievements. I hope to be an advocate for the artists. I will let my thoughts guide my pen. And of course, I would love to hear from you too. If you are looking for a great show, or someplace to hear great music, please check out my website http://www.smoothjazzentertainment.net. Check out our “Upcoming Shows” and “Around Town” tabs for more details. Thanks for reading my first entry.